Mobile internet usage in India is continuously rising and with that its speed as well. While 3G adoption is going on throughout the country, the telecom companies are gearing towards the next generation of internet- 4G. It is a long way before we can truly say that 4G has come to India. However, it is steadying its feet on the Indian ground one city at a time. While Reliance Jio is planning a grand entrance later this year, Airtel has launched the service in a few cities. Now, Ludhiana becomes one of the cities where people can enjoy the incredible speeds that 4G provides. The 4G internet provided by Airtel can be used through both the smartphones and the dongles. Airtel uses circuit-switch fall back with which it directs all the services like calls, SMS, MMS etc. through its 2G/3G network while the data is transferred through 4G LTE network. People of Ludhiana can contact their Airtel stores to get more information or the 4G USIM cards. 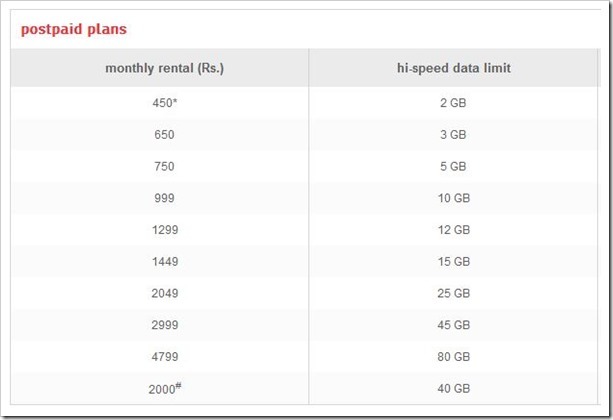 Here are the tariffs offered by Airtel on their 4G plans. Although, they have not updated it as yet on The new rates have been updated on their website, the 4G internet prices for mobile and dongles is expected to be same. With this, Ludhiana joins Chandigarh, Mohali, Panchkula, and Bengaluru as the cities which have 4G connectivity via both dongles and smartphones. Airtel also offers 4G services in Kolkata and Pune via dongles only. This makes in all seven cities in which Airtel has tested and dipped their toes in the proverbial river of 4G. I certainly wish that they would move swiftly and add more cities in their repository. Of course, the adoption of 4G network also depends on availability of smartphones with 4G capabilities. Right now, there are two Android phones that are capable of using 4G networks- XOLO LT900 and LG G2 4G. Both the phones are not exactly on the top selling list (unlike Moto phones) and no one is going to buy them just for the 4G. This essentially means that Airtel should not expect the Android people to jump aboard the 4G network just yet. Airtel however would be expecting its customers from the Apple world. The iPhone 5S and 5C both support the 4G network of Airtel and that is where the company would be expecting its main customer base to come from. One thing is sure though, once Reliance Jio comes to market, the coverage of 4G will rise drastically as they are the only ones to have license to offer 4G services Pan-India! "Ludhiana Too Gets 4G Services By Airtel", 5 out of 5 based on 2 ratings. Google Beats Apple To Become World’s Most Valuable Brand. Is Apple On The Wane Now? Netflix Would Be Free For Airtel Users? How Will Jio Respond Now!